In November 1997, Benchmark Insurance helped form the Combined Agents of America (CAA). After coming together with other independent insurance agencies across Central Texas, a plan was developed to allow all to maintain our independence while harnessing the power of our combined business. Together we could bring a much larger volume of business to insurance companies and multiply our buying power—and with it our capabilities for our customers—exponentially. Thus, on October 1, 1997, the Combined Agents of America was born. Over a decade later, CAA membership has grown from eight founding members to 52 members and $560 million in property and casualty premiums in 2012. CAA works with 18 of the largest insurance companies in the U.S., yet all of its members remain independent. CAA’s goal is to strengthen the independent agency system in Texas, Kansas and Oklahoma by allowing its members to leverage its size and strength into greater buying power and unsurpassed quality and service for their clients. What does this mean for you? 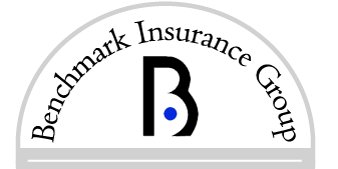 With the power of the CAA behind us, Benchmark Insurance has access to markets, discounts, niche products and quality service that non-CAA members do not. Our membership in CAA makes us stronger financially and proves our commitment to quality insurance products, excellent service and long-term partnerships with our clients. Would you like to know more about the CAA and how it differentiates us from non-member agencies? Contact us today and we would love to share more.